One of the most obvious challenges of travel to Antarctica is the stark contrast between the Antarctica winter (mostly darkness, lots of sea ice and not much wildlife) and the Antarctic summer (mostly sunlight, limited sea ice and huge amounts or wildlife). So, when is the best time to travel to Antarctica? Or maybe more importantly given that it’s such an expensive destination, when is the best value time to travel to Antarctica? Two very valid questions that we’ll try to address in this article. You’re probably guessed from the opening paragraph that the Antarctica summer is a more suitable time to travel to Antarctica so let’s firstly to cover off on the basic question of when that is precisely. Being in the Southern Hemisphere the Antarctica summer is actually at the same time the Northern Hemisphere winter. This roughly translates to the period between October and March each year. Within this window there are still a lot of differences from one month to the next and as a traveller it’s these differences that you need to consider when decided on which cruise to take. Iceberg in Antarctica. Photo Credit: shutterstock. Early in the season can be risky but it can also be rewarding. The biggest risk is probably self-evident to most people – will there still be too much sea ice to get to Antarctica? Sea ice forms on the ocean’s surface when the air temperature is very low for long periods (i.e. during the Antarctica winter) and effectively double the size of Antarctica during winter. While this is a risk it’s not as large a risk as you may think for most Antarctica cruises. If you look at a typical image of the extent of the Antarctic winter sea ice doesn’t generally extend past the top of the Antarctica peninsula (the part of Antarctica that extends up towards Argentina). This is the region where most Antarctica Cruises visit. As a result, it’s very unlikely that you’d not be able to get to the Antarctica peninsula at all at the start of the season (which is still a good three or more months after the winter equinox). Sure, there may be a few nooks and crannies that are inaccessible, but there are so many great locations to visit on the Antarctica continent that this rarely causes too much of a problem. So, what are the opportunities? 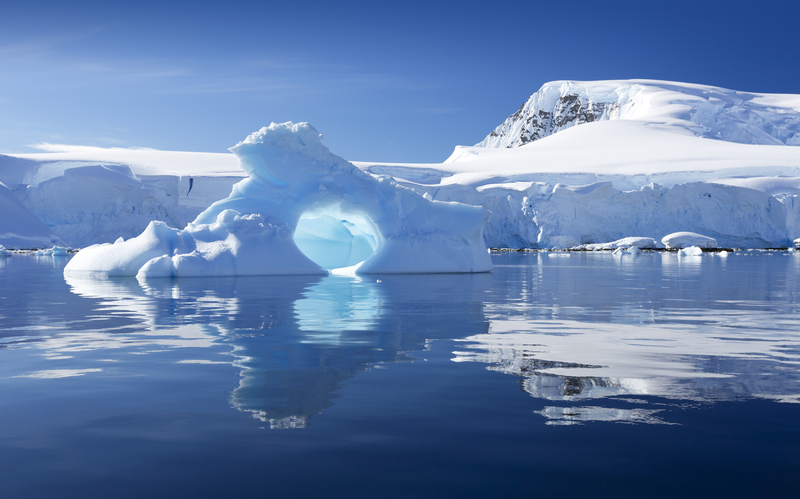 Essentially pristine Antarctica is what you get at this time of year. This may not seem to make too much sense but consider that a lot of the wildlife arrives to the Antarctica peninsula just before the start of the Antarctica cruising season. 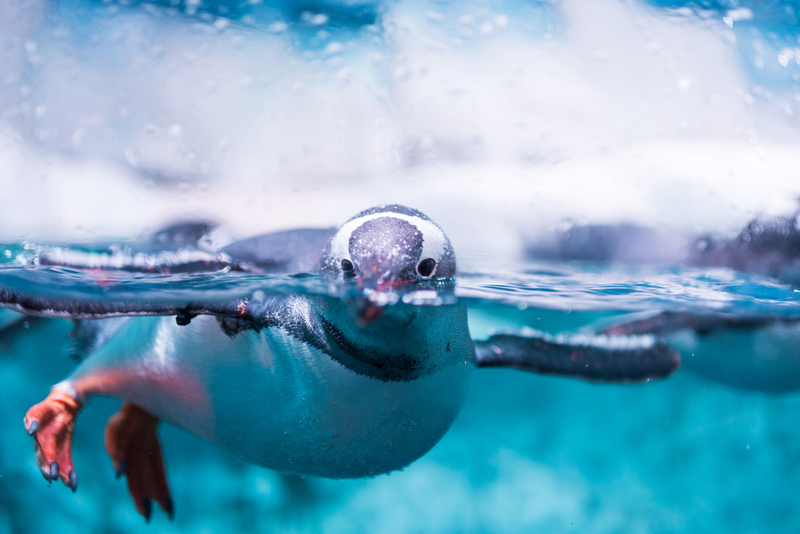 There is so much wildlife that many of the key locations to visit have every available rock taken by either a penguin, seal or some form of birdlife. The wildlife is crowded essentially and as these animals are not toilet trained these locations can become very smelly by the end of the season. Also, a lot of passengers will have visited each site by the end of the season, level well trampled paths through the snow and ice. At the start of the season you’re seeing Antarctica at its pristine best, both in terms of the limited wildlife and human impacts. November is generally better than October in my opinion as you start to get Penguin chicks starting to hatch at this time. You’ll also get longer days than you would in October. It probably goes without saying that the further you get into November, the more expensive the trips tend to get. Mid summer is obviously reasons this is often considered to be the best time to visit Antarctica. The days are their longest, the temperatures are the warmest and there are rarely sea ice issues preventing you from getting in anywhere. Penguin chicks have hatched and are looking very cute as they are tended to by their parents. Similarly, the Seal cubs and Antarctica is hive of activity. Whales have fully migrated to Antarctica waters and you’re likely to see them feeding in small groups. So what’s the downside? Well the problem is that everyone wants to go at this time! This means that generally Antarctica operators charge more for departures in these months. Given that this period also clashes with the Christmas/ New Year’s festive period, flights to Argentina are generally more expensive than normal too. If budget isn’t a concern for you then that may not be an issue but for many mid-season pricing can make Antarctica cost inhibitive as the whole trip including flights can often me twice as much as it would be in either the early or late seasons. This is actually one of my favourite times to go. Like during the early season cruises prices are obviously a little cheaper but there are also other advantages to going at this time. For the reasons mentioned in the early season section you’re also not likely to have massive sea ice issues, which would prevent you from seeing the sites on the Antarctica Peninsula. Most of the advantages are wildlife related. The penguins and most of the wildlife will still be there so you don’t need to worry that they all would have flown the coop. The great thing is that the penguin chicks will be getting a little bigger and the seal pugs a little more independent. The seal pups in particular are a consideration as once they become more independent their parents tend to go out to sea to find food. This is important as in the mid season the pups are very small and parents tend to be very protective of them. Seal pups are the Antarctica equivalent of puppy dogs, cute, playful and inquisitive. If you’re lucky you’ll find some landing site with unattended seal pups who will only be too happy to put on show for you. But there are other wildlife advantages too. Whales will join together in large pods before starting their migration north and so at this time of year you’re likely to come across these large pods – it’s a truly magical experience to watch hundreds of spouts of water projected into the air in unison. If you’re lucky enough to go on an Antarctica cruise including South Georgia there may also be a chance to visit Waving Albatross nesting sites at this time (they are closed in the mid season to protect them as the chicks hatch). 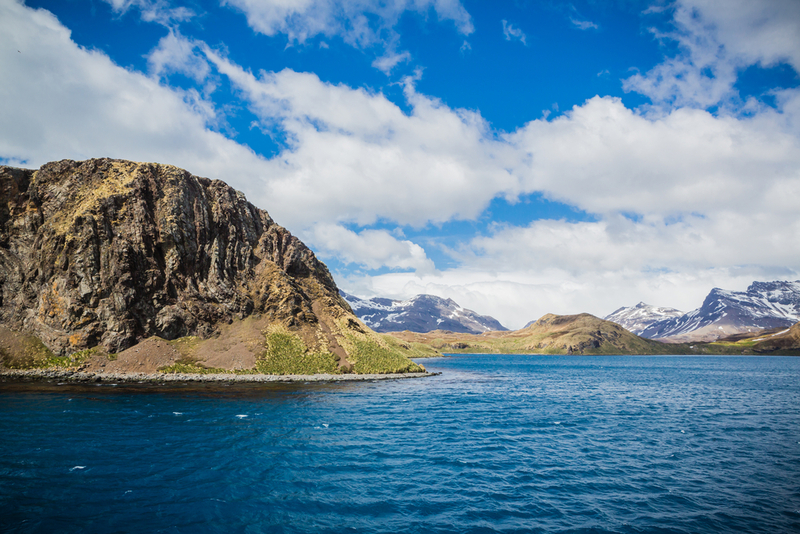 Click here for more details about why you should include South Georgia in your Antarctica cruise itinerary. The one downside is that as there has been a whole season worth of animals (and humans) tramping all over the landing sites, they do tend to be a little smelly and messy. For me this smell isn’t overbearing in the sense that it prevents you wanting to go ashore but it may be a consideration for some people. Have you decided on the best time for you to travel to Antarctica? Contact us and we can help you book your trip to Antarctica at the time best suited for your needs. January sees the arrival of mid-summer and the Antarctic season is in full swing. Cruise aboard the spectacular MV Hondius.